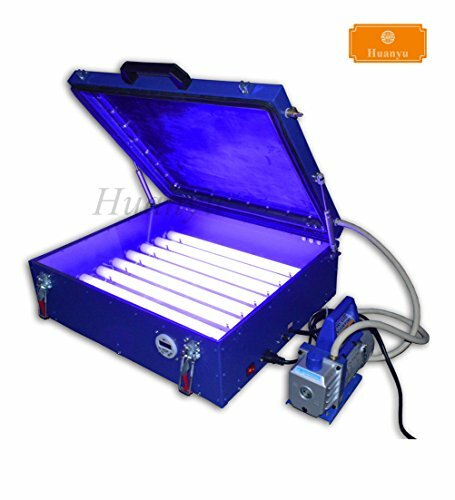 This vacuum UV exposure unit mainly used for exposure precise screen; the external pump is connected with main engine; it will make the screens and transparency film close on the glass tightly by evacuating the air of thr vacuum charmer; exposure quality is high, especially for precise screens. The exposing area is 20*24in, and it is suitable for exposing different size screen frames within outsize18*22in. There are eight 20w light tubes (power of light tubes 160w; spare prat: one tube and a Ballast), it can normally be used for about 10,000 hours.